← Rottnest Island; A quokka’s paradise! You could use that term in a rather humorous way if you found your partner to be particularly clingy…however, I’m quite pleased to say I’m using the term very literally. There are multiple sizes for a variety of uses, so essentially nothing is too big to cover! As soon as I received some samples last week, I tore the package open and held the waxed hemp fabric in my hands. It is lovely to behold, and has a distinct smell of beeswax that is actually quite pleasant. Mike was home when I opened the goods and so he too was handling and smelling the product. 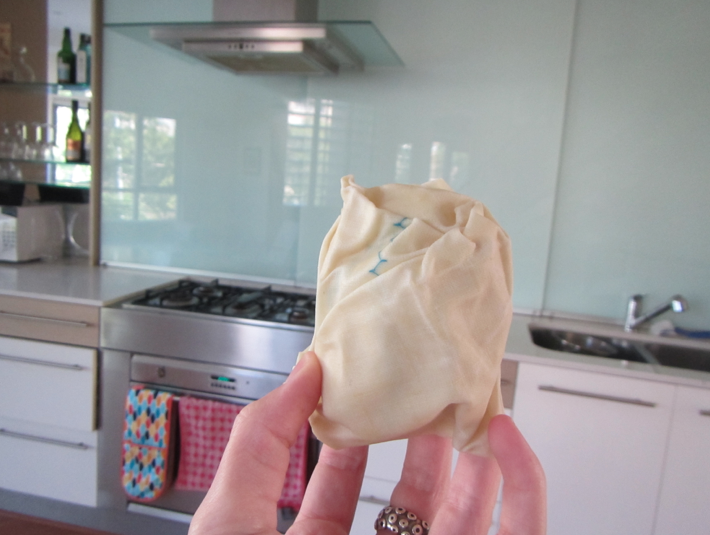 Immediately I took a piece and wrapped some fresh mozzarella in it. I also took a chunk of onion, and zucchini and wrapped them separately. My mozzarella has retained it’s perfect scent and moisture…absolutely no issues there. My zucchini was still very moist and mould free where as the piece I left unsealed in the fridge was mouldy and dry. The potent onion, also retained it’s moisture and scent. None of these items smelled like beeswax, even the delicate mozzarella. Even more impressive, the stinky onion did not fuze it’s strong odour to the fabric. It was very easy to wrap and unwrap the items. I am the worlds least fussy gift wrapper, and this product does it’s job even if you don’t make it look pretty. I am really excited to stop using plastic to wrap our food, and feel really good that we’ve got a product here that we can use again and again…I’ve got peace of mind knowing it’s not going to harm the environment when we’re through using it. In fact it will give back. I’ll be ordering some large sheets in the very near future. 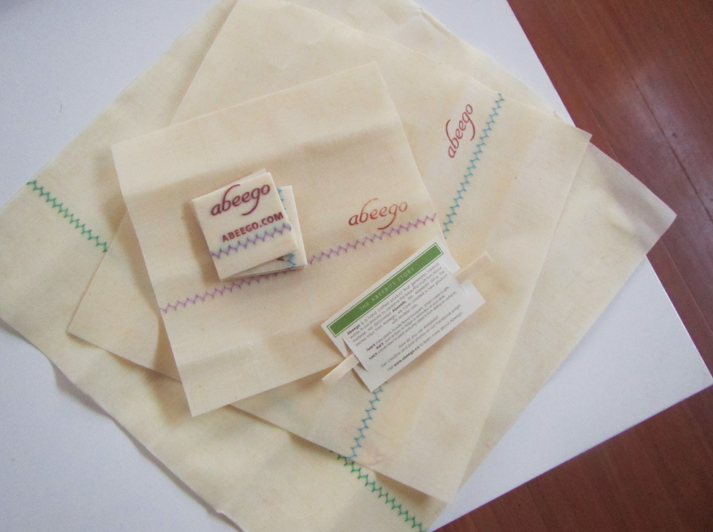 Many thanks to Abeego for creating such a thoughtful product! This entry was tagged Abeego, Baking, Canadian Companies, Canadian Made, Compost, Consumerism, Cooking, Environmental Commerce, Environmentally Friendly Products, Food, Food Preparation, Food Storage, Garbage, Nature, Organic Products, Recycling, Storage, Sustainability, Thoughtful Consumerism, Waste. Bookmark the permalink. ooo great stuff I will be fallowing the link asap.. did you think the cost was fair? what a great idea! Yes, the cost is really reasonable, and considering the milage of the product you’ll be more than getting your moneys worth. Plus they ship at a small cost, really quickly! I hope you get to try some out! Bet it’s expensive to ship to the UK? Hi! We ship as much or as little Abeego as you can handle for a $20 Flat rate. Hope you’ll try us out. 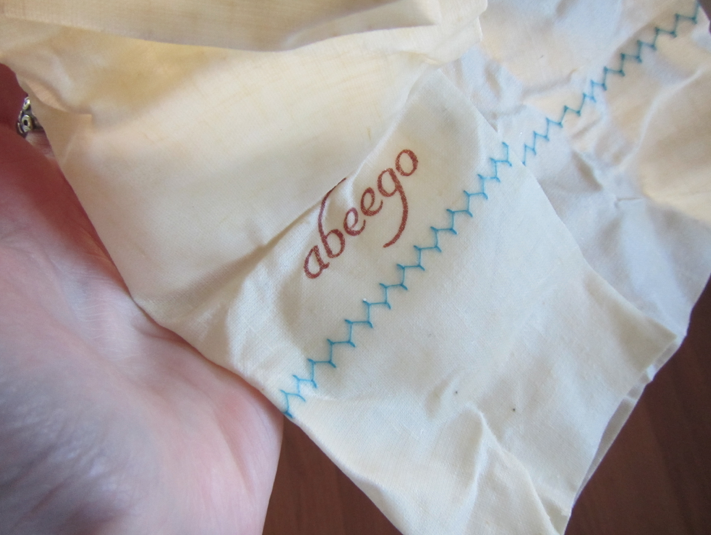 Thank you for posting about Abeego! I love the section where you posted your findings. 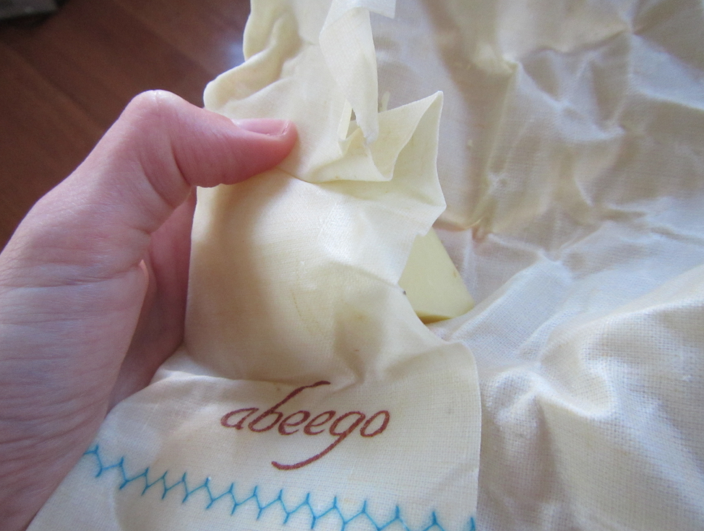 I love seeing others discover the benefits of Abeego first hand.